To make all financial transaction at its ease NIU has banking facilities at its campus location that offers all banking services to its staff and students in addition of 24-hour ATM facility from Punjab National Bank. These banking facilities save time and energy of students to conduct monetary transactions. 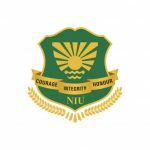 These banking facilities at NIU are very helpful to students as their parents can transfer money to their accounts, which can then be withdrawn and saved by students as per their needs.